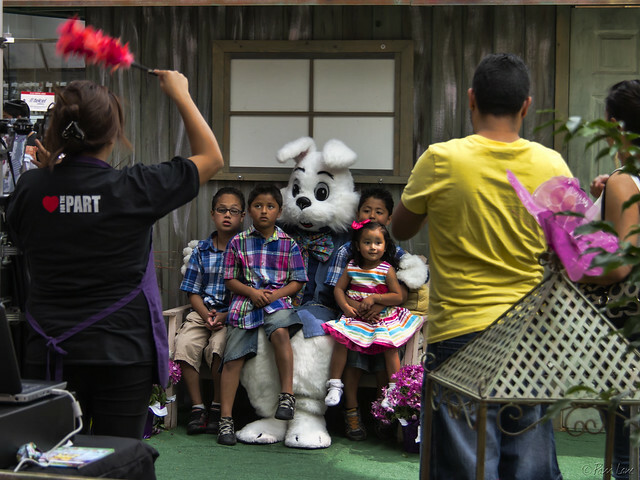 An 8-foot-tall Easter bunny seemed kind of creepy to me. But apparently this oversized bunny is less intimidating to kids than Santa Claus is at Christmas time. In the entire time I watched kids getting their picture taken with the bunny at Stonewood Mall, not a single kid cried or hung back, which frequently happens at Christmas with the jolly old Santas. Go figure! P. S. The title of this post is from "The Bunny Song," from VeggieTales: Rack, Shack, and Benny.